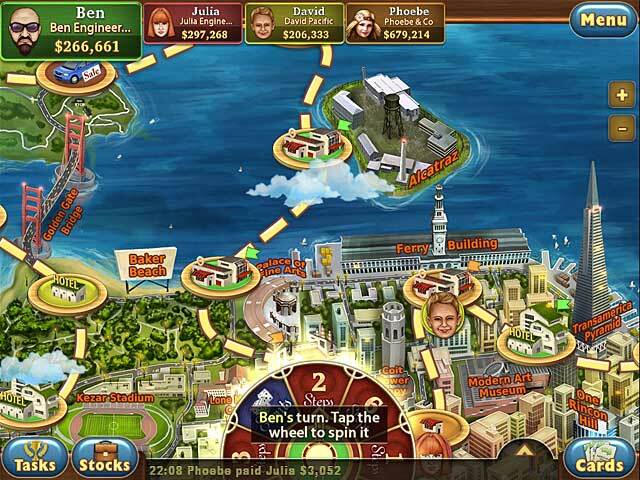 Become a real estate mogul in this super sequel of the amazing economic strategy game that combines the best of board game fun with investment opportunity in fascinating real-world cities. The makers of Trade Mania have released an amazing new sequel to the original economic strategy game, combining the best features of economic board games with realistic settings in the world’s most fascinating cities! 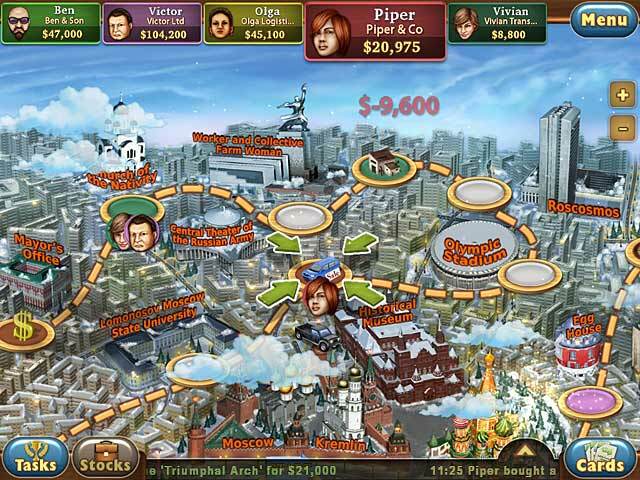 Trade Mania 2 features more dynamic gameplay, sophisticated virtual competitors, and a great variety of strategic solutions. 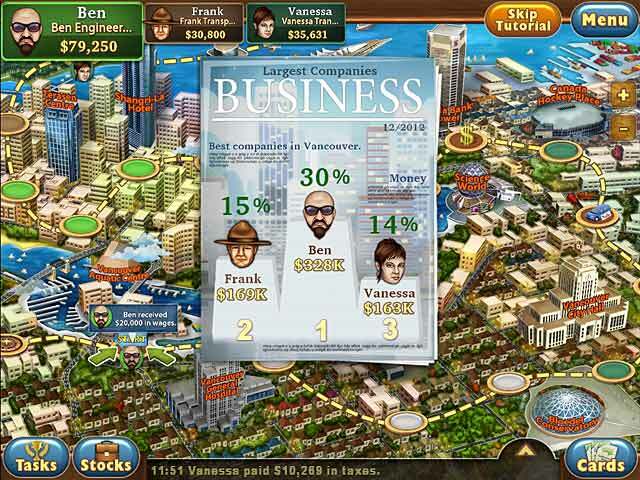 Purchase real estate, construct buildings, trade goods and run your competitors into the ground using maps of actual cities in Trade Mania 2! • Develop hotels, factories or supermarkets! © 2003 - 2019 Dekovir Entertainment. All rights reserved.